This article on John Carroll’s investment in academic programs originally appeared in the first issue of Onward: John Carroll University Alumni Magazine in February 2018. 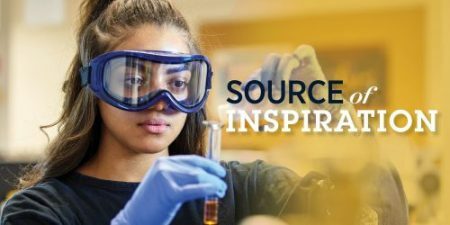 As John Carroll looks to the future, the University has invested resources in academic programs that prospective and current students are seeking out. Through Sports Studies, Communication & Theatre, Entrepreneurship, Pre-Health, and the Boler College of Business, students have found sources of inspiration for their future careers, which are among the fastest-growing in the University. As she sat in Donahue Auditorium in mid-September, among a crowd of her peers in JCU’s Mike Cleary Program in Sports Studies, Jess Cook ‘18 heard encouraging words from NCAA executive Oliver Luck: the world of sports would benefit from the perspectives and involvement of more women. JCU students are finding their way into coveted positions, in part because of the University’s network of support. “John Carroll graduates are helpful to students, connecting them with people in the industry that they wish to pursue, because at some point an alum helped them,” Beigie says. The sports studies program is experiencing growth overall. Cook notices how much class registration has changed since her first year in the program. Back then, the program had few course offerings, and it was no problem to get a spot in class. Now, with more students interested in the sports studies major—adding it as a second major or switching to it as a primary focus—students find themselves surrounded by like-minded individuals. Such growth has allowed the program to add faculty members like Brooke Turner, PhD, an assistant professor with a volleyball coaching background. The program’s success was part of the impetus for the new advisory council, too. The group is comprised of people who have been personally enriched by Cleary, the program’s namesake and visionary who led the National Association of Collegiate Directors of Athletics from 1965 to 2011. The 12-person roster includes Oliver Luck; Gene Smith, the athletic director at The Ohio State University; and Kevin Anderson, the athletic director at the University of Maryland. The council exists to lend expertise to the program and its students, as Luck did with his campus visit. Enrollment and investment in the Tim Russert Department of Communication & Theatre has allowed the department to recently add faculty members, who are exciting students with their teaching styles. In Christina DeVoss’ course on branding, students are working on a semester-long project with the Center for Career Services to revamp the department’s identity. DeVoss’ students met with CCS staff to understand their goals and then with JCU students to record their impressions of the department. The end result is a presentation of suggested brand guidelines for CCS. In Managing New Media, students say they benefit from the background and personality of their professor, Dr. Sejung Park. The new addition to the Russert faculty guides students in the course through measuring and directing the success of a company’s social media presence. They look at the ways hashtags, keywords, and influencers shape the success of social media posts and campaigns. Park is uniquely qualified to help, given her wherewithal in data analytics, which she is successfully translating—even to her most math-wary students. “She brought that math foundation that we all thought we wanted to steer away from,” says senior Megan Stechler. Marketing students may feel stretched by so much math, but they gain skills of increasing importance in their career field. Students in the Edward M. Muldoon Center for Entrepreneurship have lately been seeing a lot of new—courses, a facility, and a leader. The program enrolled more than 300 students in its 15 courses for the fall semester, and unveiled the Burton D. Morgan Creativity and Entrepreneurship Classroom. The facility, inside the Grasselli Library and Breen Learning Center, fosters creativity through movable furniture and technology, so groups of all sizes can collaborate and imagine well. Such rampant growth in the program allowed it to provide students with a new leader. Dr. Doan Winkel took the John J. Kahl Sr., Chair in Entrepreneurship and became director of the Muldoon Center after serving in a similar capacity at Illinois State University. Winkel has received national recognition as a speaker and author, focusing on entrepreneurship education. He is a founder of several organizations, including Legacy Out Loud, a group that helps young women recognize and develop their entrepreneurial talents by finding their mission and receiving mentorship. Winkel wants to use that emphasis—fostering female creatives—to better JCU’s entrepreneurship program and Northeast Ohio. “We will work to provide support to historically underrepresented students to help them become successful and fully engaged in their educational experiences at John Carroll University and in the Cleveland community,” he says. These ideas are just small components of a broader ethos for Winkel, who wants to build a world-class program focused on enabling women entrepreneurial leaders. He wants to form an advisory council comprised of female entrepreneurs and then use their connections to form a mentorship program and an angel investment network. It is all part of a plan to help young women start, grow, and lead the businesses of the future. Students in JCU’s Pre-Health Professions Program have options, thanks to its Health Professions Advisory Committee. This group is comprised of volunteer faculty and staff from departments throughout the university—biology, psychology, English, and more—who meet with students and explain how their education intersects with other disciplines and earns them a job in a variety of graduate programs and work fields. “These interviews help students reflect on their career choice, highlight potential areas of weakness in their preparation, develop interview skills, and evaluate the growth and potential of each student,” says Dr. Kathy Lee, the assistant dean of health programs at JCU. 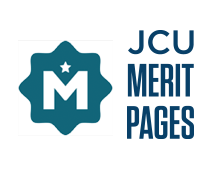 Students apply to meet with the HPAC and, once accepted, meet with the program’s director as well as two or three faculty members in relevant fields. The goal, according to Lee, is to make sure students are set for success in their professional school applications and interviews. While the HPAC meetings may challenge students’ plans and preparation, it is all part of what Lee calls a “rigorous interdisciplinary curriculum.” She says that faculty and staff on HPAC encourage students to be “civic-minded” and to discern a career path of service to others. That emphasis—service to others—is evident in many of these successful JCU initiatives, from the advisory council in the sports studies program to the model of education for entrepreneurship students from the inner city. The rising programs at JCU embrace diversity and empowerment and the power of networking—all strengthened by the servant-leader focus of the Jesuit tradition.